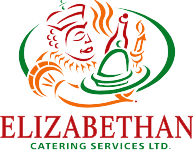 Ethnic - Elizabethan Catering Services Ltd. Traditionally, East Indian Menus have been broken down into Non-Vegetarian and Vegetarian, and of course we can offer a combination also. Additionally, we can prepare a combination of some East Indian choices with some Western Choices, when there is going to be mixed crowd. How best do we handle this? As in any culture, the list of menu items can be extensive. After many years of successfully catering events like this, Elizabethan Catering Services Ltd., has elected to offer some popular menus, some of which are listed here. Substitutions are obviously allowed, and we ask that you discuss them with one of our Chefs or Sales Associates. INDIAN RICE PUDDING WITH SAFFRON, PLUS OTHER CHOICES AVAILABLE! IN SHARING THESE SUGGESTIONS WITH YOU, PLEASE REMEMBERTHAT WE CAN EASILY SERVE SOME OF THESE ITEMS WITH OTHER“WESTERN MENU ITEMS” TO CREATE A FUSION MENU, THAT WEHAVE DONE MANY TIMES IN THE PAST. FEEL FREE TO ASK FOR ANYTHING NOT SHOWN HERE. THERE ARE MANY DISHES WE HAVE PREPARED IN THE PAST, THAT ARE NOT SHOWN HERE!